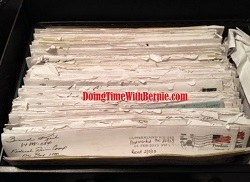 DoingTimeWithBernie.com: Crime pays for convicted felon on probation Bernard Kerik with blessings of US Probation Office SDNY? 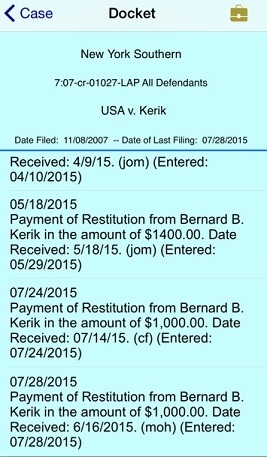 Crime pays for convicted felon on probation Bernard Kerik with blessings of US Probation Office SDNY? 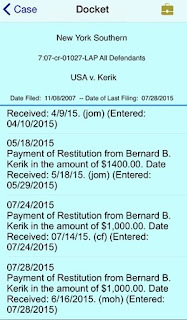 Crime pays for convicted felon on probation Bernard Kerik with blessings of US Probation Office and SDNY (Southern District of New York US Probation office? Last night Newsmax.com aired another pathetic exposure of convicted felon Bernard Kerik masquerading as a trusted leader and counter-terrorism "ex-spurt". If you listen about one minute into this YouTube.com video, you hear the host announce proudly Kerik is "phoning in from the Jersey Shore". CRIME MUST PAY FOR CONVICTED FELON ON PROBATION BERNARD KERIK. However, the true disgust may be placed with the U.S.Probation office of the Southern District of New York who allegedly "supervise" this eight-time convicted felon who reportedly owes over $180,000.00 in criminal restitution to the US Government to which he LIED and CHEATED! You see, Bernard Kerik is probably visiting his good friends, Caroline Manzo and family, who tweet and brag all day about the riches and lavish lifestyle made for TV! Does Caroline Manzo condone such an injustice to the USA? Most of us law-abiding, tax-paying, hard-working, ethical citizens can only wonder why the U.S> Probation Office of the Southern District of New York think Kerik's "Jersey Shore" vacation money wouldn't be better spent toward paying down his CRIMINAL RESTITUTION? Kerik is on "supervised release" until October, 2016. He was denied early release. Where is the deterrence to crime if the punishment of paying a criminal restitution is a vacation at the Jersey Shore or a paid speech hosted by a sitting Congressman? Can we really take convicted felon, Bernard Kerik, seriously when he whines about and may be receiving tons of "dark money" Criminal Justice Reform? Maybe the Criminal Justice Reform should start with Bernard Kerik paying his FULL DEBT to Society?